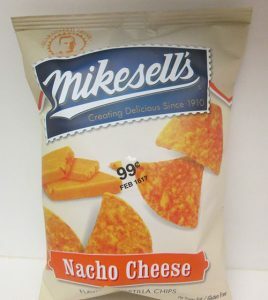 Nacho Cheese Tortilla Chips manufactured by Mikesell’s Potato Chip Company is subject to recall because the product has the potential to be contaminated with Salmonella, a dangerous bacteria. U.S. Food and Drug Administration (FDA) environmental testing revealed that the presence of Salmonella was found on equipment at Valley Milk Products, a secondary supplier to All American Seasoning, the seasoning supplier for the Nacho Cheese seasoning. The elderly, infants, and those with impaired immune systems are more likely to suffer the severe effects of salmonellosis. The Weinberg Law Firm has helped food poisoning victims nationwide receive compensation for their injuries and related damages. If you or a loved one has been injured after eating a contaminated food product or restaurant meal, and you would like to know more about your legal rights, please call our lawyers at 1-877-934-6274.